Joilson Silva is the 3rd–8th Grade PE teacher at St. Gabriel’s Catholic School. He joined the St. Gabriel’s family in 2008, bringing with him 33 years of teaching experience. Coach Silva loves to teach because he is passionate about sports, physical fitness, and teaching children—it’s his perfect combination! A native of São Paulo, Brazil, Coach Silva earned his bachelor’s degree in Education and Physical Education from the University of Mogi das Cruzes. He speaks English, Spanish, and Brazilian Portuguese. In his spare time, Coach Silva loves to play soccer, go cycling, and watch movies. He loves to travel home to Brazil, but dreams of a trip to Greece or Hong Kong. 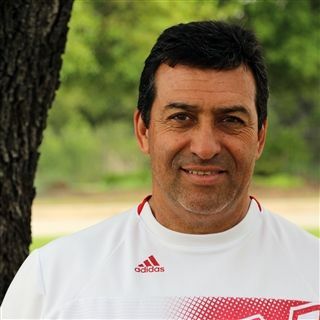 You can reach Coach Silva at: JSilva@sgs-austin.org.